In the April edition of Airgun Shooter, editor Nigel Allen gets his hands on the limited edition brand new PCP from Boxall & Edmiston, which has a worldwide production run of just 150. 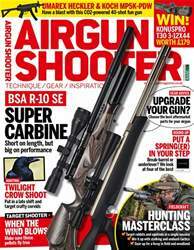 We also put the updated BSA Supersport SE through its pace, while Nathan Kingsley compares a pair of semi-auto plinkers from ASG and Gamo in his garden range. 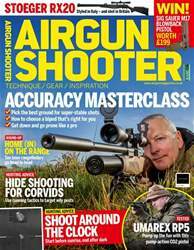 Elsewhere, Mat Manning heads into the fields with a spring-powered air rifle, Ian Barnett is out in search of what he calls ‘elevenses’ and we meet Dave Ewing, the man behind the ‘No to Airgun Licencing’ online petition. 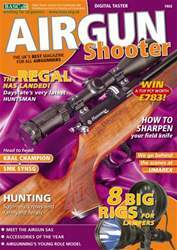 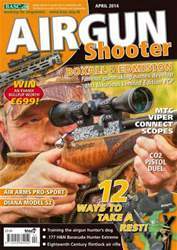 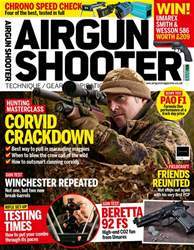 Plus, turn to page 35 for your chance to win an Evanix Rainstorm Bullpup worth £699!